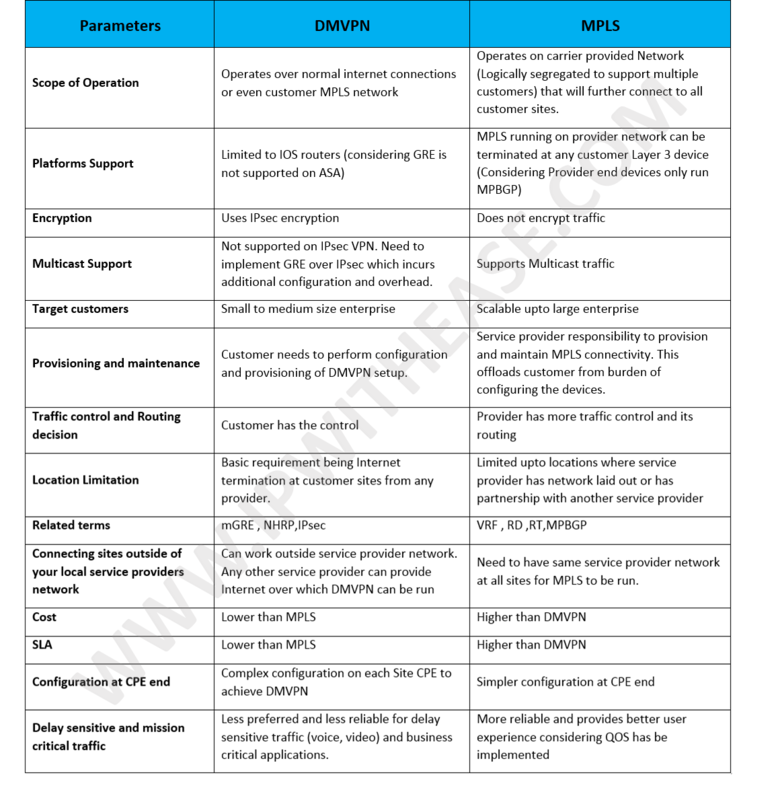 While deciding on Layer 3 technology to be used for connecting Customer sites over a common network, 2 frequently used terms are DMVPN and MPLS. While DMVPN is typically used over the internet though in cases may be deployed over MPLS network. DMVPN supports Spoke-to-Spoke encrypted tunnels over the Internet which is less stable than carrier network. MPLS VPNs are typically in service provider networks and large campus networks where voice and video reliability is also key requirement. MPLS is more stable than DMVPN (DMVPN runs over less reliable Internet links).